A hotel is often just a place for the night, a place for a quick rest and a shower before exploring a destination. A resort, of course, is not just that but rather a destination unto itself. 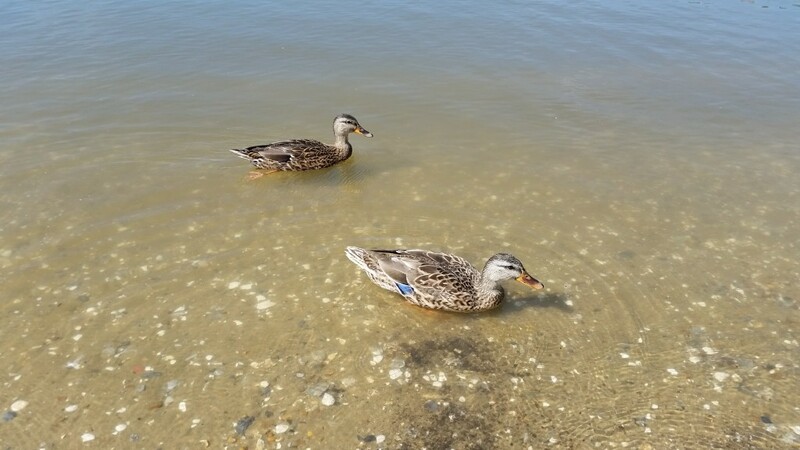 In our travels to Williamsburg, Virginia, which we’ve been doing a few times a year, we have tended to stay in hotels for a quick pit stop to relax and refresh as we explore the area’s theme parks, museums, wineries, and more. On our last visit to the area, we decided to instead make the accommodations the destination itself (or at least a big part of it). 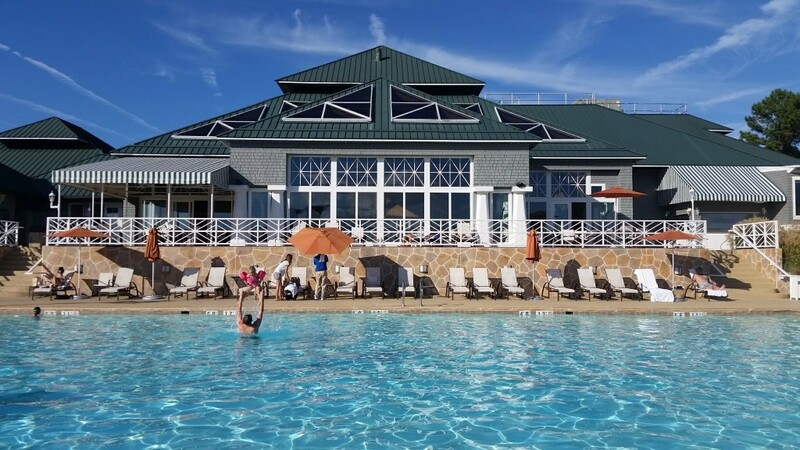 The first place that came to mind was of course the Kingsmill Resort. We had heard good reviews from friends who had visited the resort, and wanted to experience it for ourselves. What we discovered was a place whose pictures don’t do it justice, where you can relax along the river, stay active with sports, or try out something new. 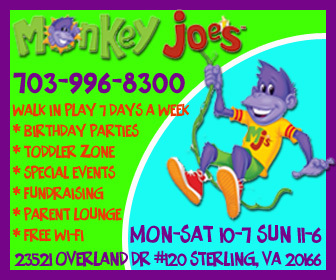 With its frequent special offers and packages, this is a nice option for families visiting the area. 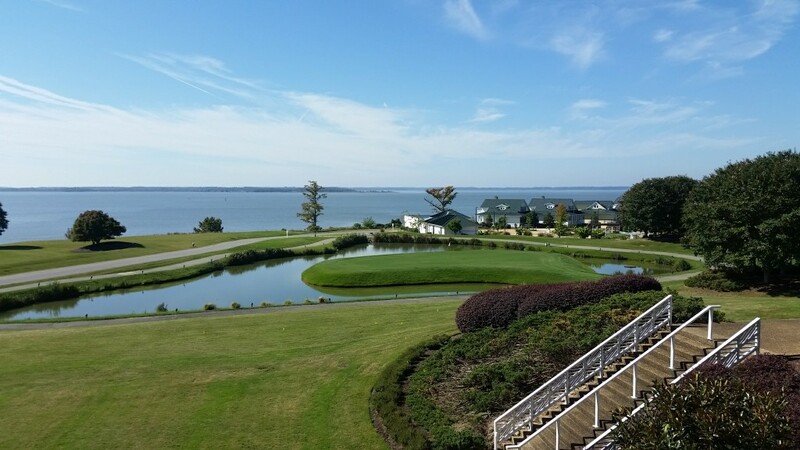 Kingsmill is not just a place to “spend a night” (or two). 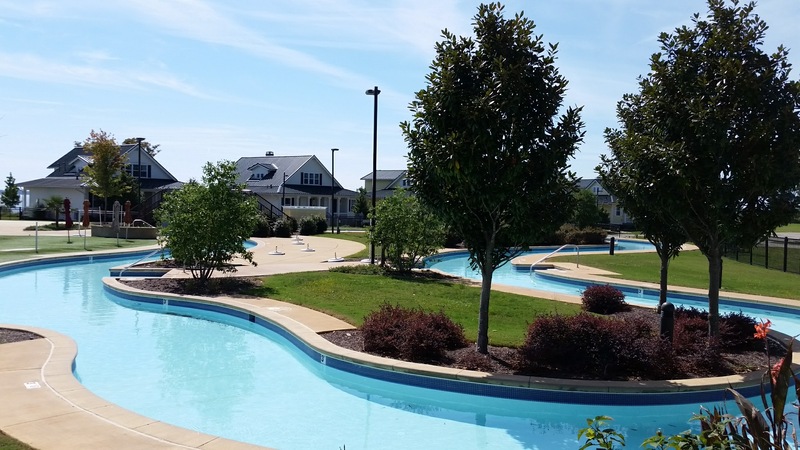 As the only AAA Four Diamond Condominium Resort in historic Williamsburg, Kingsmill has luxurious riverside accommodations that include standard guest rooms plus one-, two- or three-bedroom condos that are so nice and so comfortable, you’ll want to give yourself time to enjoy your stay. 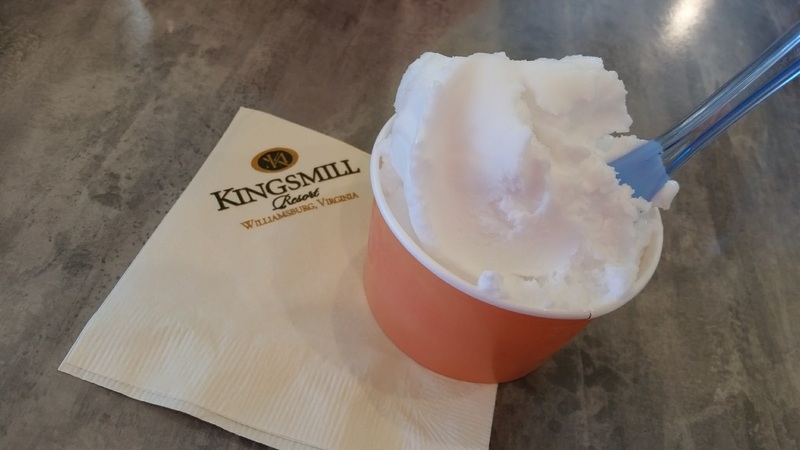 We visited Kingsmill Resort on the weekend that we attended the media preview for the Howl-O-Scream event at Busch Gardens, which is just a couple of miles away. 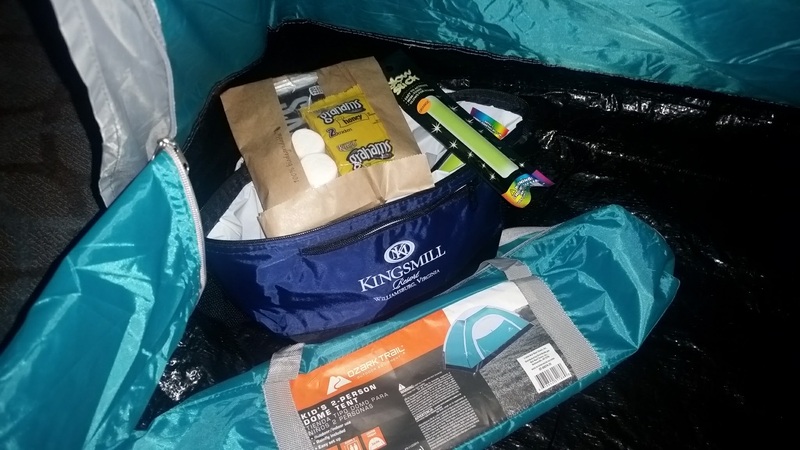 In fact, Kingsmill offers packages throughout the year designed specifically for families, including those visiting the park. In the fall, you can book the Howl-O-Scream package that includes your accommodations, full breakfast, free wifi, passes for Busch Gardens, and a free shuttle the park and other Williamsburg locations (which saves you time and money). In the fall, Busch Gardens hosts a daytime, non-scary Spooktacular and the nighttime, frightening Howl-O-Scream. Another popular offer is “Snores and S’mores” (love the name! ), which is the one we enjoyed. This package also has free breakfast, wifi, and the shuttle, but it comes with a “camping” theme instead of the park tickets. 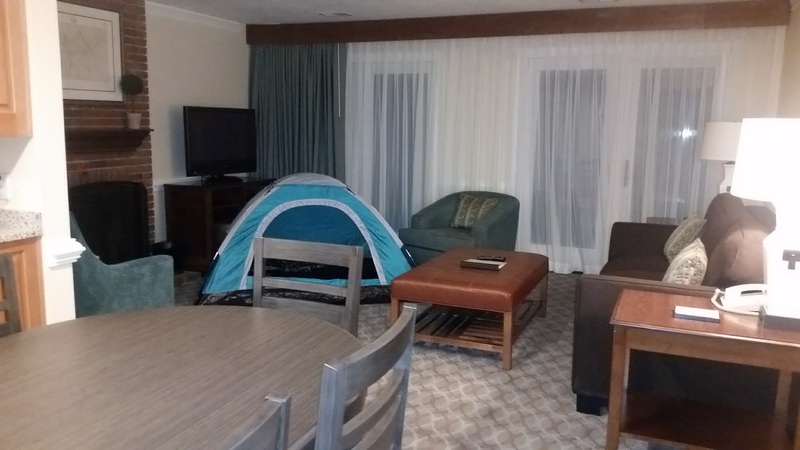 When you choose this package, you will check into your room to find a child’s tent set up! We did NOT tell our son about any of this ahead of time, and it was a real treat. In fact, I didn’t tell my husband, either, so it was a fun way to surprise them both. And the surprises continued: inside the tent is a “camper kit” with a lunch bag, microwavable s’mores kit, glow sticks, and bottled water (they provide one per child ages 3-9). Our son loved his two-person (child-sized) tent and declared it a “grown-up-free zone” where he could do some reading or play on the iPad by himself. After making him s’mores, though, I was allowed inside, from where we watched TV late at night… no ghost stories here, though the program about aliens who may live among us was spooky enough! The tent was big enough for kids to sleep in, but we used it just for fun. Our beds and condo features were incredibly comfortable. 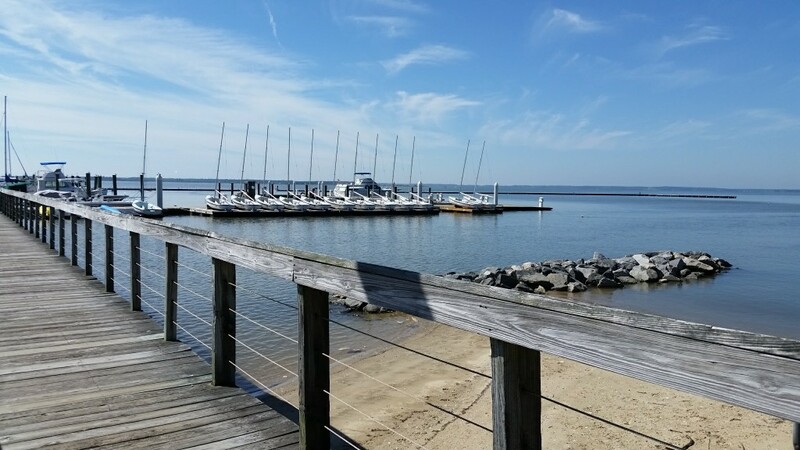 We were in a one-bedroom condo with a large, full kitchen, plenty of space, and a nice outdoor patio from which we could see the James River. As comfortable as the room was, we made sure we spent enough time enjoying the resort itself. 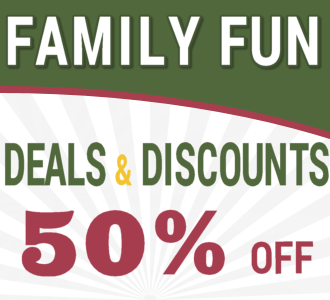 If you don’t have time to plan for a fall visit, look at the other upcoming family packages that include Thanksgiving and Christmas specials. The pool has a large entrance and and chairs all around. Since it was early fall, it wasn’t crowded at all, as you can see! We could order room service by the pool, which made it easier to just sit there for as long as we wanted to (which would have been all afternoon, if left up to me!). As nice as it was to enjoy a “summer day” when it was nearly October, we did also go to the indoor pool, which is nice and has good lanes for swimming. 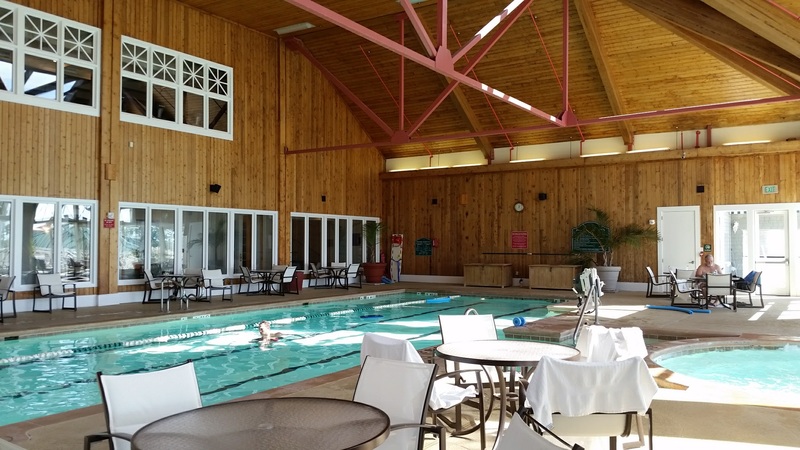 The indoor pool is heated and open year-round, so it’s something you can enjoy no matter what time of year you visit. There is also a large hot tub in this area that is nice and has seats all around. There are also chairs just outside the indoor pool, so if you were traveling with a large group that was split among the two pools, you could have an easy “in-between” meeting point. The only pool we did not get to experience during our visit was the lazy river, which is open only during the summer months. This pool is just a short walk away from the two other pools and features a small slide for kids. 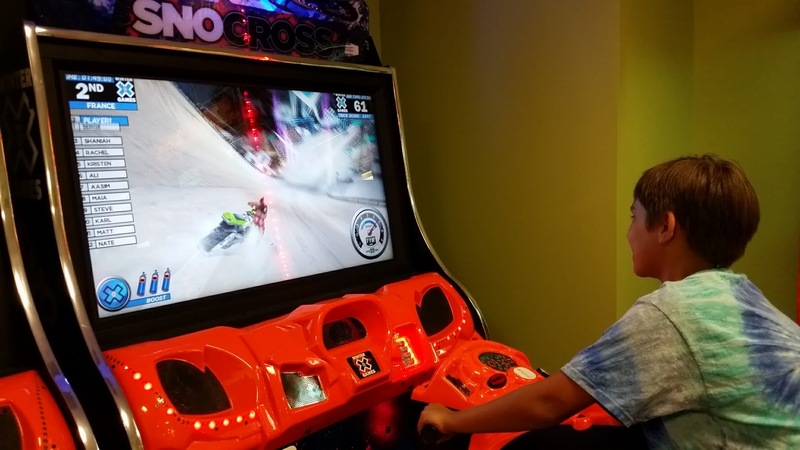 Another place kids will enjoy is the resort’s game room, located in the same spa building as the indoor and outdoor pools. This is a new attraction the resort just recently opened. 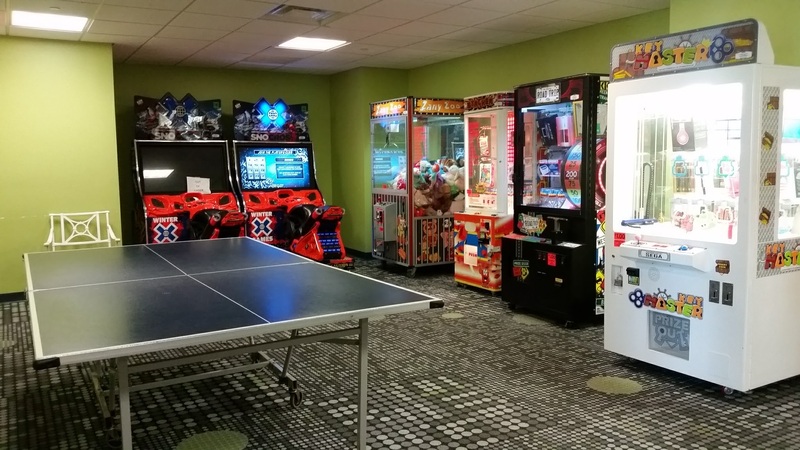 The game room features a ping pong table plus 10 games. The prices are typical and reasonable, and the ping pong is free (you need just 25 cents to buy a ping pong ball from a dispenser). The games use regular coins and there are change machines in the room. 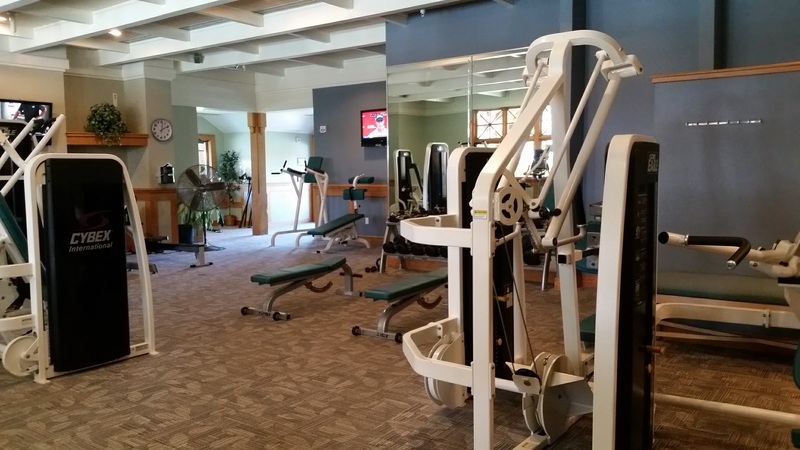 In this same building, the Sports Club, is the fitness center, with a good assortment of free weights, resistance equipment, and cardio machines. The hours are great, open almost all the time (4:30 am to midnight). A nice plus of this gym is the complimentary classes, including water aerobics sessions in the indoor pool. Because we were blessed with such beautiful weather, we spent most of our leisure and exercise time outdoors. 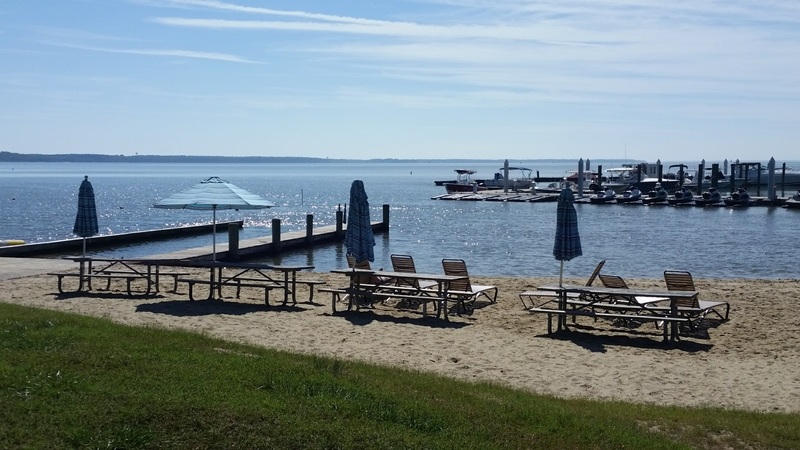 At Kingsmill Resort you can take advantage of its location along the James River to enjoy boating, fishing, and water sports. 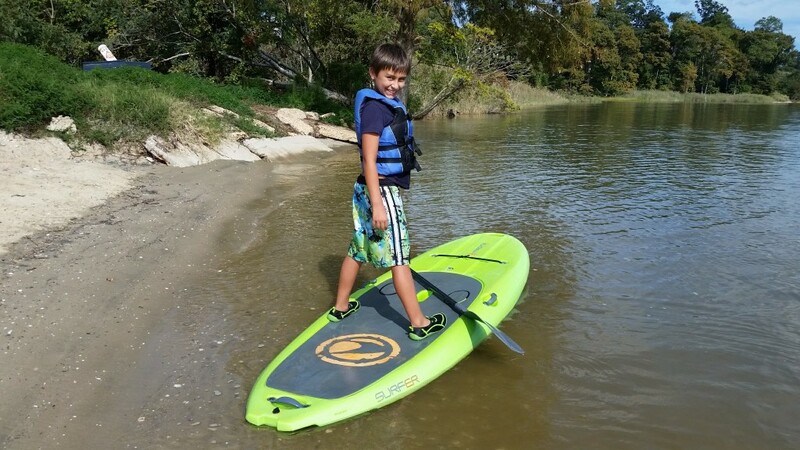 Our son had wanted to try stand-up paddleboarding (SUP) so we went with that. 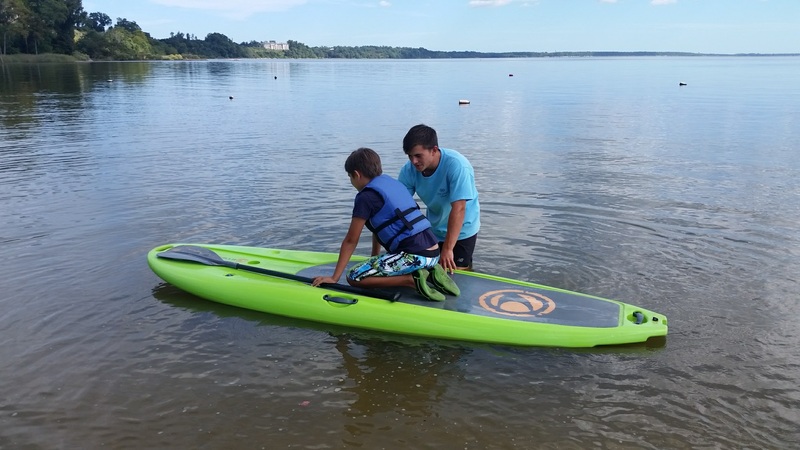 There were no child-sized paddle boards when we were there, but he was big enough for an adult one, and thanks to the very helpful staff, he was set up and ready to go in no time. He was a natural! In no time at all, he was making his way around the designated area, enjoying himself on the water. Our rental for the SUP was $20 for an hour, and that was good enough time for an introduction. Kingsmill Resort supplies vests of all sizes. It was a hot day, so after an hour ON the water we ready to be IN the water and headed to the pool. Other options at the marina, which we saved for another day, include pontoon boat rentals, Jet Ski rentals, kayaking, and fishing. 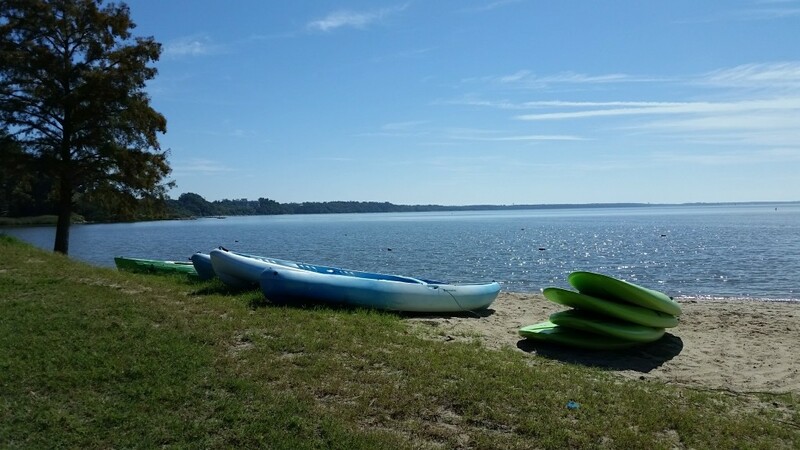 During the summer season, Kingsmill also offers Jet Ski tours to view wildlife and landmarks in American History including Jamestown Island, as Captain John Smith first saw it, so that’s worth a return trip! 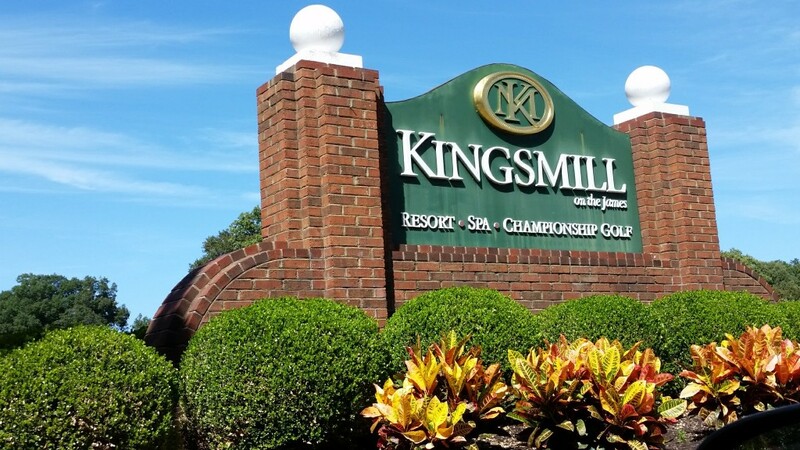 One of the features Kingsmill Resort is best-known for is its two golf courses. 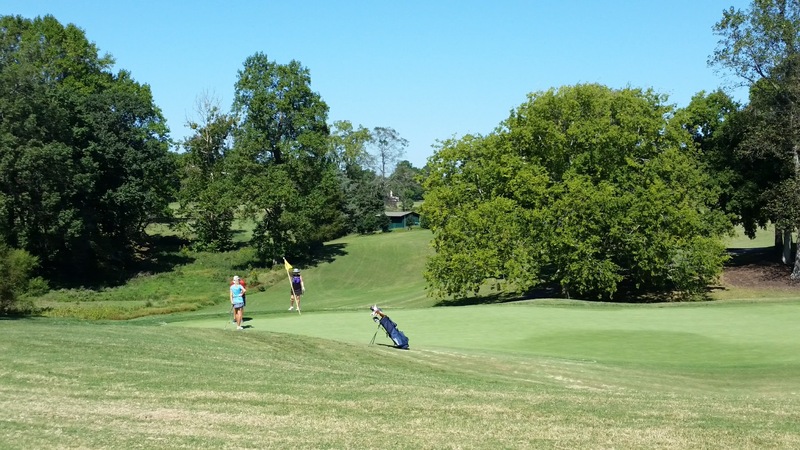 With two renowned, championship 18-hole golf courses, golfing is a key reason many come to Kingsmill. If you’re a casual golfer, don’t worry — the resort has a strong golf academy that serves players of all abilities, levels, and experience. 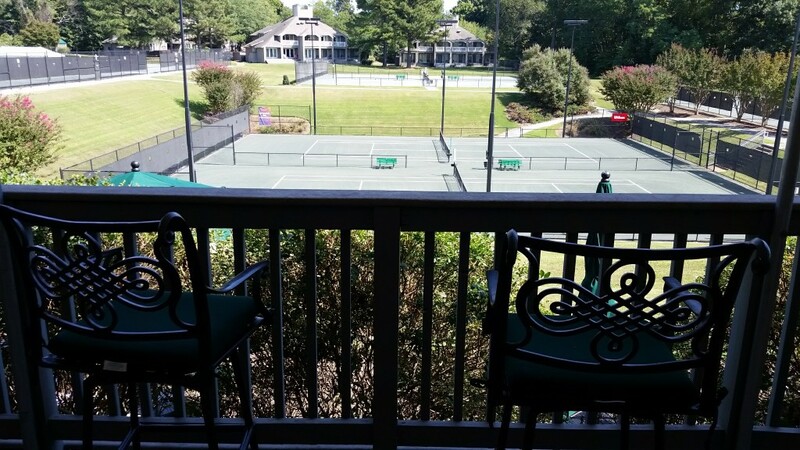 Tennis also is huge at Kingsmill, with an impressive 15 courts to choose from. We had wanted to play but ran out of time, but it’s nice to know that with so many courts, our chances are good of getting one on our next visit. If you’re the only tennis player in your group, you may still find a way to play, as Kingsmill offers a “matchmaking service” for interested players. Other ways to get exercise and fresh air at the resort include bicycle rentals (helmets, children’s bikes, and baby carriers are available) and Segway tours. 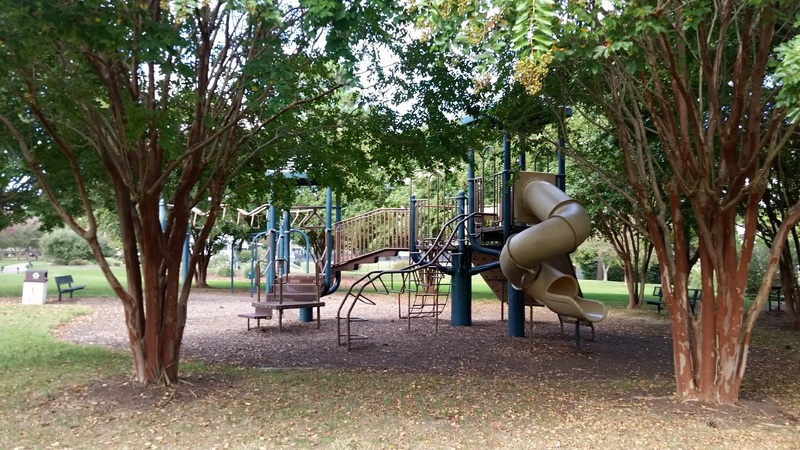 There also is nice playground, with some shaded areas, across from the spa and fitness center. 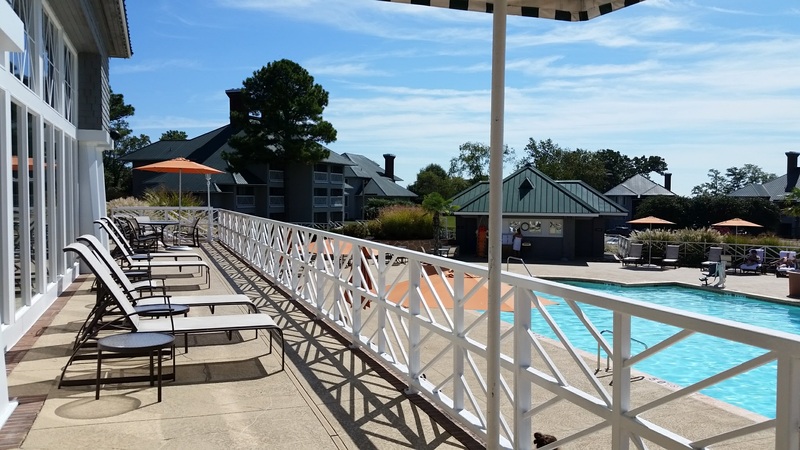 You’ll definitely want to stay active at Kingsmill so you can enjoy the wonderful food guilt-free! 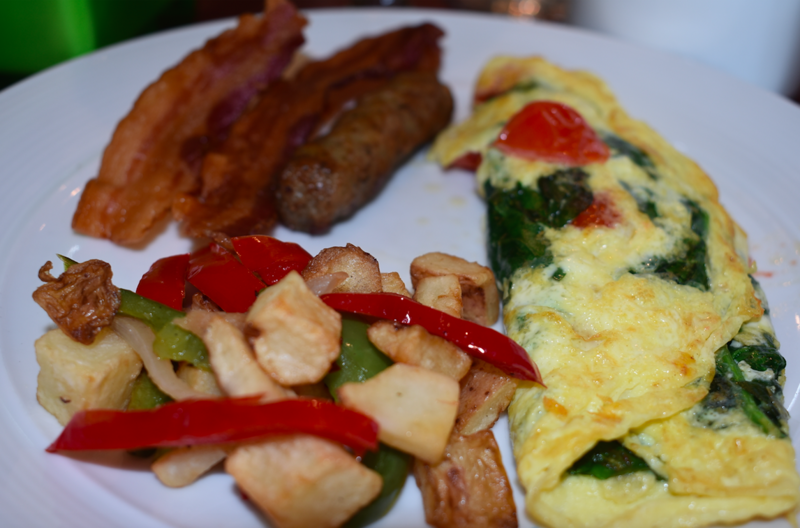 Each morning we started our day with a fantastic breakfast buffet that included hot foods (eggs, bacon, sausage, potatoes, biscuits and gravy, and more), sweets, fruits, cereal, yogurt, made-to-order omelets, and other items. Our breakfasts were at Elements 1010, where we could dine indoors our outside on the patio. Imagine kicking off each day eating al fresco seeing this great view above! This restaurant is also open for lunch and dinner and has a lounge. 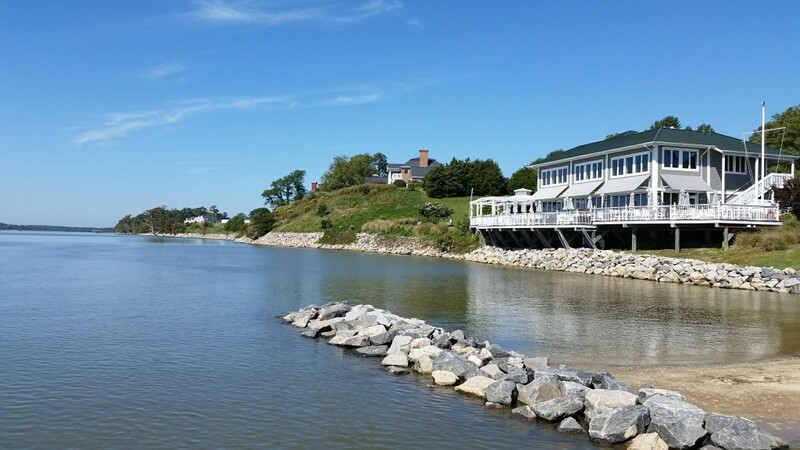 Other restaurants onsite include Eagles by a golf course and the James Landing Grill by the marina. When you want a quick bite, head over to The Mill near the tennis courts. This is a combination sandwich shop, ice cream parlor, coffee house, and candy shop. 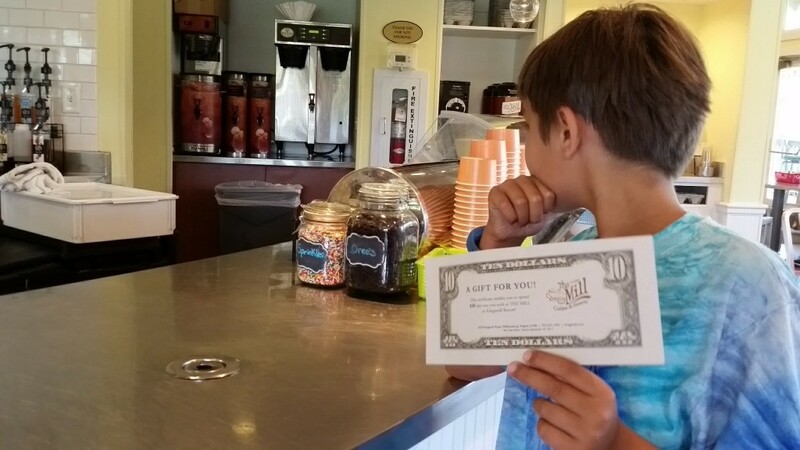 We’d been told the homemade gelato was a must and our son was gifted a $10 certificate to try it for himself. Of course he was willing to share, but we were in luck… on Sundays the gelato is buy one, get one free, so even better! My husband and son got coffee and vanilla gelato, but I opted for the lemon, which was more like a sorbet, and… oh my goodness. This stuff was awesome! They aren’t kidding when you say you must try this. It was flavorful, smooth, and creamy, yet light on the palate… truly amazing! 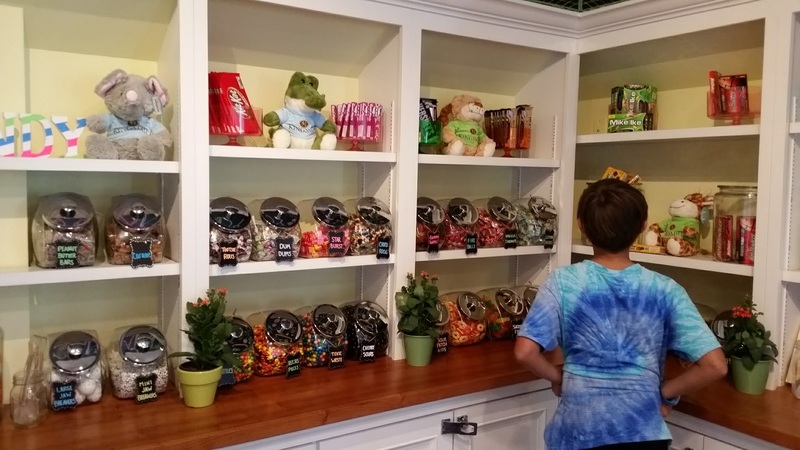 Here you also can buy bulk and packaged candy, small gifts, gourmet coffees, and sandwiches. The prices are good (the grilled cheese is only $3), seating is plentiful inside and out, and the deck overlooks some of the tennis courts. In this same building is the Kids’ Camp (see blow). For simple fun, rent a bike or just walking around the premises. 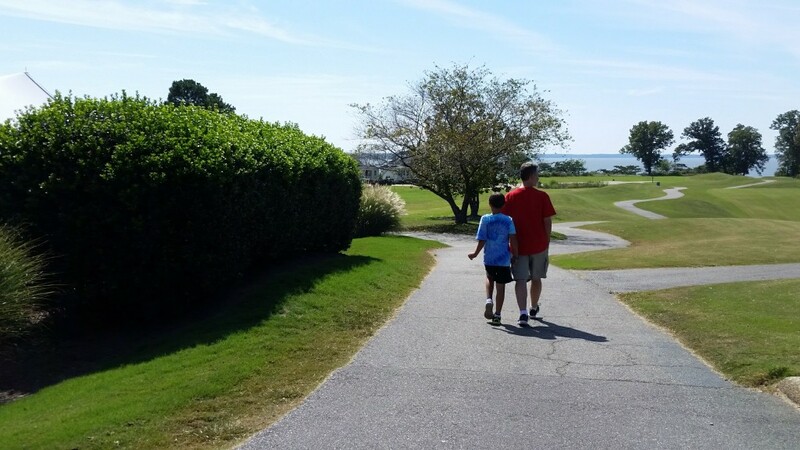 Kingsmill Resort has many nice walking paths perfect for a family stroll. The grounds are beautifully maintained, and I was struck by what a great place this would be for a wedding. Sure enough, as we were checking out, a wedding party was checking in. As you walk around, look for the various historic markers around the property. 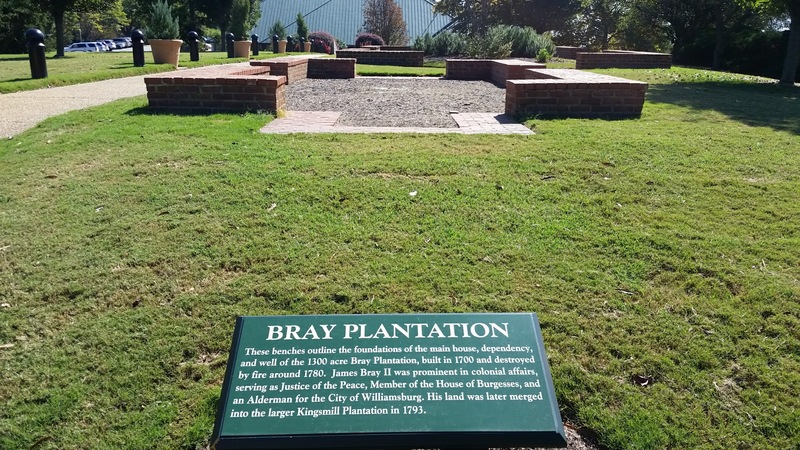 The resort is built on a portion of the Kingsmill Plantation, and the signs note the location and purpose of original buildings. 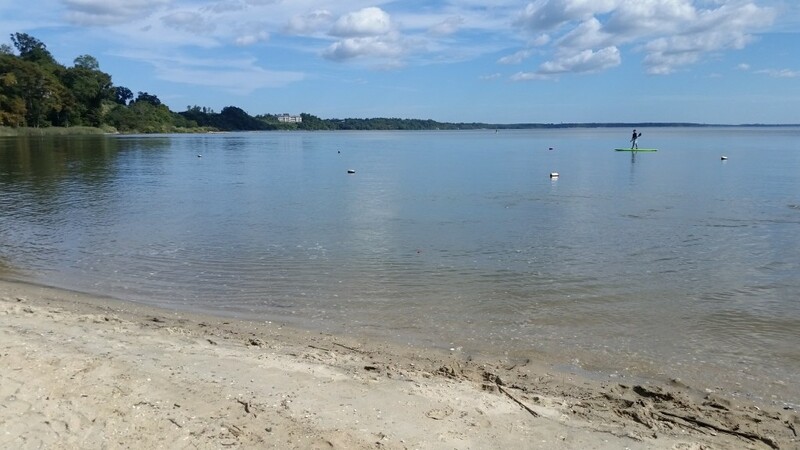 If you want to take it easy but still spend time outdoors, also check out the little beach area by the marina. There are a few chairs, some with umbrellas, and picnic tables. Kids who want to make new friends — or give mom and dad a little time to themselves — can enjoy the Kids Camp and Kids Night Out programs Kingsmill Resort offers to guests ages 5-12. Half-day and full-day options are available. For some people, the ultimate relaxation is a trip to the spa. Moms (or dads!) who need a break can take advantage of the centrally located spa offering many massage options, reflexology, aromatherapy, and more. This is a full-service spa also offering facials, hair cutting and styling, and nail services. 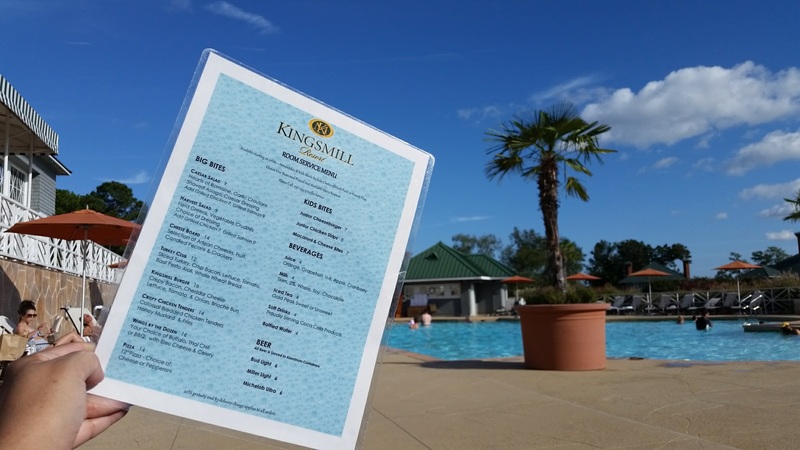 Our little weekend getaway didn’t give us time to do everything, of course (including the spa), but it gave us a great idea of what we can’t enjoy, and we’ll certainly be back to Kingsmill, especially at different seasons to enjoy other offerings. 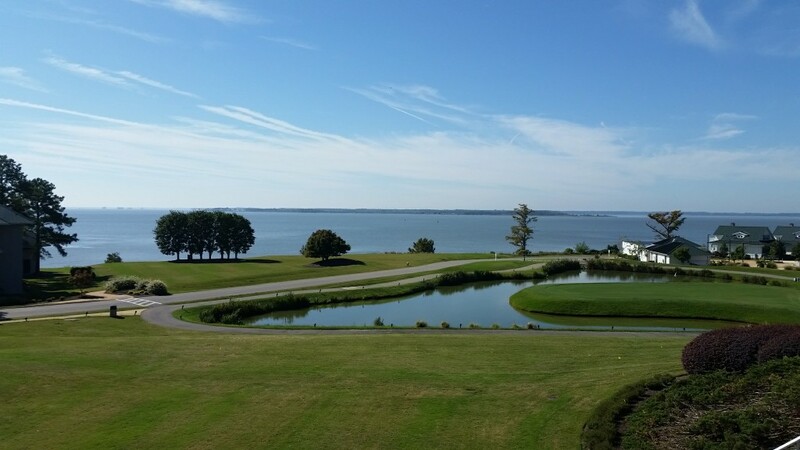 Have you stayed at Kingsmill Resort? 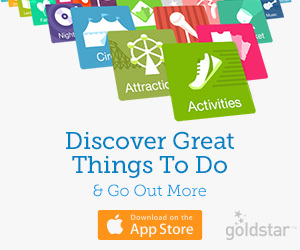 What are some “musts” to try on our next visit? Let us know in the comments below! Disclosure: We were guests of the Kingsmill Resort and received two night’s accommodation with the Snores and S’mores package, including some meals. 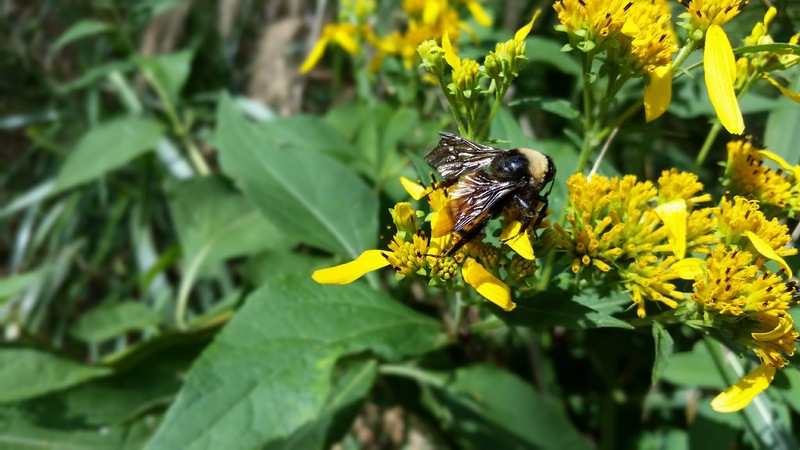 This article is my original writing and the opinions are my own. 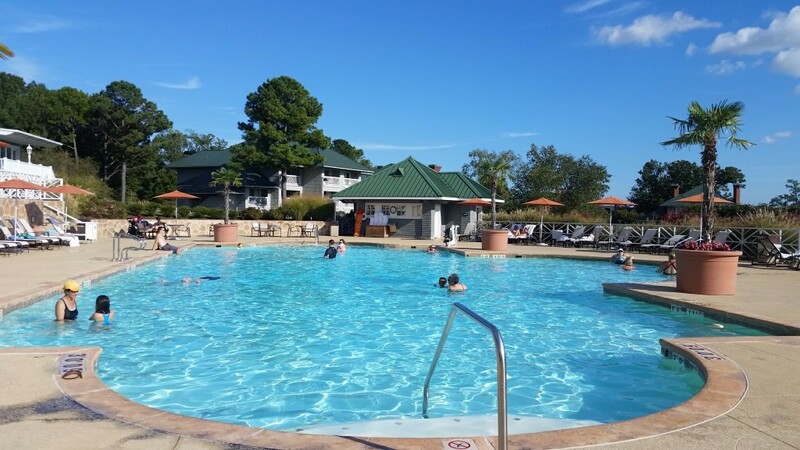 Share the post "Enjoy fall with the family at Kingsmill Resort"